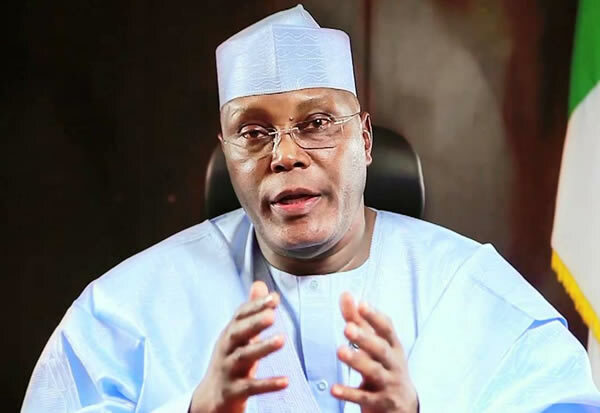 Former vice president and presidential candidate of the Peoples Democratic Party (PDP) in the 2019 election, Alhaji Atiku Abubakar has said that on arrival from Dubai Sunday morning he was intimidated and searched by state agents at the Abuja airport. 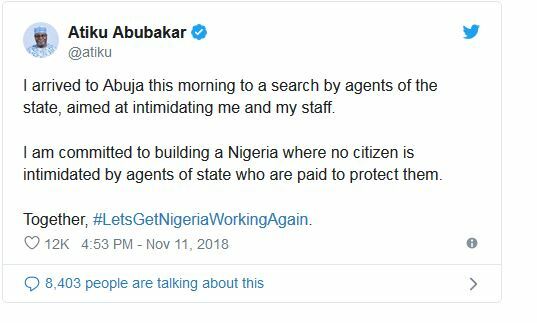 Atiku on his Twitter handle said: ‘I arrived to Abuja this morning to a search by agents of the state, aimed at intimidating me and my staff. ‘I am committed to building a Nigeria where no citizen is intimidated by agents of state who are paid to protect them. Former Deputy National Publicity Secretary of the All Progressives Congress (APC) Comrade Timi Frank, revealed that a plot to embarrass the People Democratic Party (PDP) presidential candidate, Atiku Abubakar, on arrival early hours on Sunday from Dubai was a failure. Frank said Atiku, who returned to Nigeria around 1am on Sunday morning from his vacation in Dubai was thoroughly searched by a Special Squad of security men deployed by the presidency for some hours with recording gadgets on them and in and around Atiku’s aircraft. “Nothing, was however found on him or in his aircraft.” According to Frank, plan to also drop bags of foreign currencies and other implicating things in Atiku’s aircraft on his arrival was also unsuccessfull. In a statement Timi Frank signed to raise an alarm on Sunday afternoon, he said the special squad of security men who carried out the search confessed that they were directed by the presidency to embarrass the former Vice President.